In January 1954, at the peak of the so-called “Cold War”, the U.S. Government set to overthrow the Guatemalan President Jacobo Arbenz, who had been deemed a Communist and a dangerous influence in Central America. Thus, the Central Intelligence Agency was ordered to launch a clandestine paramilitary operation, code-named “Project PBSuccess”, for setting a precedent in a region that was considered the U.S. backyard. Six months later, Arbenz was out and a new “ruling junta”, more amiable to U.S. interests, had replaced him. In the process, the Agency not only had established the principles and tactics for all its future covert operations, but also had shaped the U.S. foreign policy for years to come. 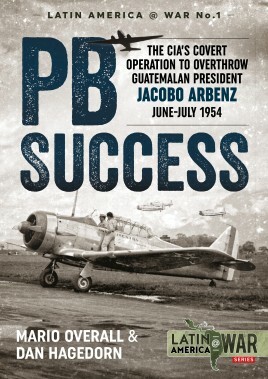 Based primarily on CIA declassified documents and Guatemalan military sources, this book explores the volatile political and military scenario in which Project PBSuccess unfolded and, for the first time, delves into a rather poorly documented aspect of the operation: The use of air power by both, the CIA and the Guatemalan Air Force. Mario Overall is the co-founder of the Latin American Aviation Historical Society – has studies in Computer Systems Engineering at the Mariano Gálvez University of Guatemala. He served in the Guatemalan Air Force as a computer specialist and then in the same capacity with the Narcotics Affairs Section of the US Embassy to Guatemala. To date, he has written more than 15 articles related to the history of military aviation in Central America, which have been published in renowned magazines in the US, Spain, Brazil, Mexico, England, France and Poland. Overall has also collaborated with several authors in their research work about Latin American aviation history. Dan Hagedorn is Curator and Director of Collections at The Museum of Flight at historic Boeing Field in Seattle, Washington, and is a graduate of Villa Maria College, the State University of New York, and the Command and General Staff College (U.S. Army, post-graduate). He was previously Adjunct Curator and Research Team Leader at the National Air and Space Museum, Smithsonian Institution, Washington, DC for 19 years. Prior to that, he served in the U.S. Armed Forces for 27 years in leadership and intelligence positions worldwide and has, to date, authored 21 monographs or books detailing various aspects of aviation and aerospace history. In conjunction with the 150th Anniversary of the Smithsonian Institution, he was named an Unsung Hero of the Smithsonian Institution and was awarded the Orden do Merito Santos-Dumont by the Brazilian Government for services to Latin American aviation history, in which he specializes. "Largely referencing declassified CIA files, this inaugural edition of Helion’s exciting new “Latin America @ War” series begins by navigating the labyrinth of post-WWII Guatemala. It skillfully summarizes key social, political and military factors. It pinpoints principal personalities. And it deftly distills the overarching international forces at work....Photo surprises lurk everywhere, too. How about that Nicaraguan Douglas A-20G? Or that all-black Nicaraguan P-38L? Or that ubiquitous “Liberationist” Cessna 180 employed in attack roles?...“The events taking place between May and July 1954 in the Central American republic of Guatemala,” authors note, “still to this day stir passions in all sides of the political spectrum in that country, and to some extent, in the rest of Latin America.” Find out why. Helion’s first “Latin America @ War” installment certainly sets high standards for the publisher’s promising series. And I breathlessly await further forays. Perhaps Overall and Hagedorn will return with, say, an equally authoritative “Caribbean Legion” account? Rabidly recommended!" 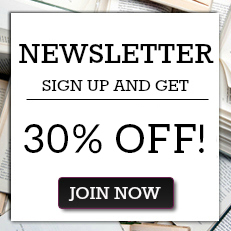 "We highly recommend this book for those readers who are interested in aviation history, Latin American history, as well as that spooky, and often fascinating, world of clandestine operations. It is heavily illustrated with period photographs, aircraft illustrations and maps of the operation. All of this, combined with the author's individual talents and expertise, come together to make this comprehensive volume."